The I-SPY studies are attempting to establish a new measure of efficiency for phase II clinical trials, according to principal investigator Laura J. Esserman, MD, MBA. These trials are utilizing a novel design in hopes of accelerating the dissemination of information into clinically applicable models. I-SPY 2 (NCT01042379) is currently investigating neoadjuvant and personalized adaptive novel agents for the treatment of patients with breast cancer. 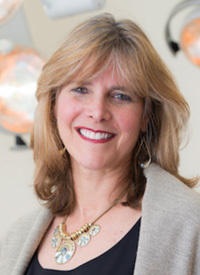 In an interview during the 2018 OncLive® State of the Science Summit™ on Breast Cancer, Esserman, a professor in the Departments of Surgery and Radiology, co-leader, Breast Oncology Program, University of California, San Francisco (UCSF) Helen Diller Family Comprehensive Cancer Center, discussed the goals of the I-SPY trials and their impact thus far on patients with high-risk early breast cancer. OncLive: What is the aim of the I-SPY trials? Esserman: These are neoadjuvant breast cancer trials designed for women who are at very high risk for early recurrence. It is all about accelerating the pace of learning which agents are going to work for what kind of tumors, and to try to move the testing of new agents into the early-stage high-risk neoadjuvant setting instead of waiting for the metastatic setting. [We need to] test drugs where they matter most—when we can still cure people. That is what I set out to do with my partner Nola Hylton, PhD, of UCSF, an MRI physicist who developed all the sequences for breast MRI. When she came to me with this technology back in 1993, she said, "How can we use this?" I said, "Let's use this for people who come in with these big terrible cancers, and see if we can figure out how they are responding." I did not believe that everyone was getting the same benefit. Eventually, we turned it into the I-SPY trial. How is I-SPY altering the dynamic of clinical trials? There are 3 or 4 key things about I-SPY. First, we are moving the drug testing earlier at a time when [patients] are curable. We hypothesized that some drugs might work even better in this setting. The second thing that we have done is that we changed the order of therapy. If you want to speed up progress, you have to have an early, valid endpoint. We did not have that to start, but we have it now. If you operate first, you have no idea how every individual is going to respond. That has been a real obstacle for us in changing therapy, because we have had decades of operating on people and then giving drugs blindly. We don't have an early indicator of who is responding; we just have to wait until people recur. That has impeded our ability to rapidly learn and improve our approach to [treating] patients. Third, we use imaging and biomarker guidance. What that means is that we follow along and use MRI imaging to see what kind of response people are having. In addition to our standard biomarkers, we are taking these new and emerging markers of tumor biology to figure out how to best tailor the drugs to the right person. The fourth thing is very important—it is how we have changed the efficiency. We have created a master protocol of a platform trial and used an adaptive design. Now, what does that mean? Master protocol means that you don't write a new protocol every time you want to bring a new drug in. You have 1 protocol, and every drug comes in as an amendment. It is very efficient. It is the first time ever that all participating drug companies put their drugs into the same trial. We have worked with the FDA on this, and the National Cancer Institute at the time. The other piece is the adaptive design. What we were doing at the beginning was trying to see if a drug was working better for a particular patient group. If so, it was more likely to be given to the next person to come into the trial with that biology. That is critical; that is a real frame shift on the way we do trials. It minimized the chance of giving people therapies that do not help them as much, and it maximized the chance of patients benefitting.